One of the biggest complaints from Party Plan Consultants is feeling like they are working “ALL THE TIME”, and often not feeling as though they are accomplishing much. This will quickly lead to “overload” and ultimately “burn out” where a Consultant will quit prematurely. Setting office hours is one of the first things you MUST do as a Party Plan Consultant. It may sound silly to set true “office hours” when you work for yourself, but doing this is imperative to the longevity and success of your Party Plan Career. Many consultants mistake ACTIVITY for PRODUCTIVITY, which is why setting Office Hours and implementing The Diva Success System into your business early is crucial. 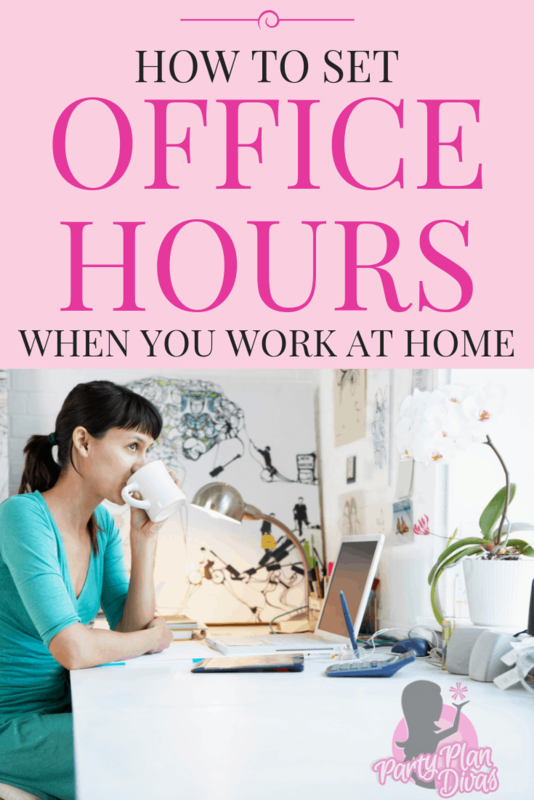 Why set office hours for a work at home business? 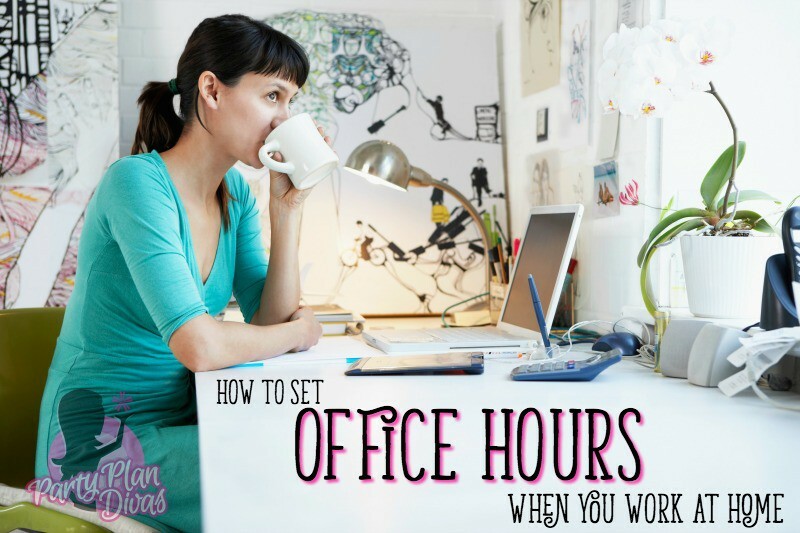 By setting your Office Hours, you will know when to work, and you will know when to take time for yourself and your family, and will not get overwhelmed by feeling like you are working 24/7. 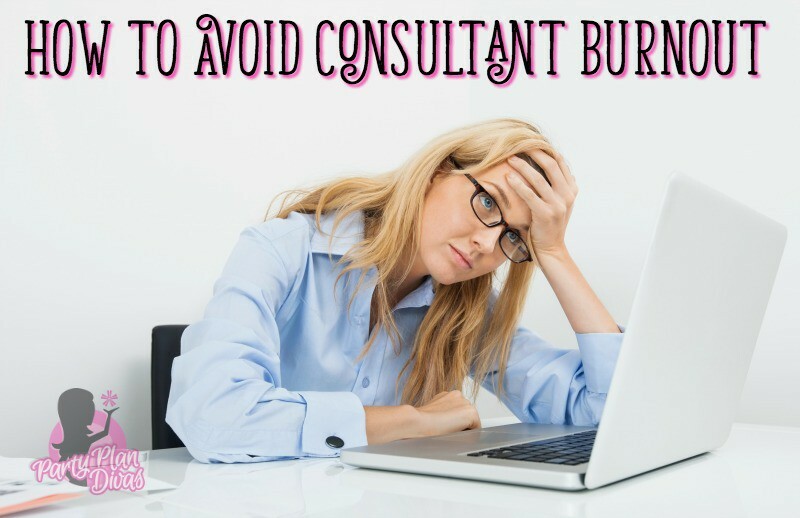 Consultant Burnout is one of the number one reasons setting work at home office hours is so important. Even when you love your job, working 24/7 is exhausting. When you set office hours – which in turn sets boundaries in your business – you are able to be focused while working and relaxed during the much needed time off. Another reason to set Office Hours is so that your customer and team will know when to expect to hear from you, or when is a good time to call. A majority of the time, we do not keep typical “hours” as opposed to a store or mall, so letting your customers know what to expect for a callback is a great part of customer service and leadership. When setting office hours, make sure to get your family involved, after all, they always come first! When your family feels included and prioritized, they will be much more supportive of your business. I can not stress enough how important it is to get OUT of your house to network. Face time will make or break your business. If your business is not booming the way you want it to be – the answer is simple, GET MORE FACE TIME. Know when you will be working in your office, and when you will be out promoting your business. Do not mistake activity for productivity! I am just as guilty of “playing office” as anyone reading this is. I can spend HOURS reorganizing, refilling, re-wording EVERYTHING. However, you must realize that though these activities are obviously important to the success of your business, they are not INCOME PRODUCING. Meaning, you can spend an entire day “working” in your office, but it will not generate a dime. Set your office hours, but make sure the activities reflect your goals. The Party Plan Industry is different from any other industry, as we work AROUND other people’s schedules. Most of your Clients/Hostesses work during the day, leaving the evenings as the best time to do follow up calls, Hostess Coaching Calls, Customer Care Calls, etc. Fantastic Friday – Prepare For Weekend Parties, pack demo kit, lapboards, etc. Party that evening. Successful Saturday – Spend the day with those you love, Party that evening. Slow Down Sunday – Faith and Family Day! Enjoy a relaxing day with those you love! Remember to always make one day a “non-work” day. With this schedule, you will always know when you are working, when you need to be in the office, when you will be out Gardening, and when you will be making your phone calls. The first and foremost thing to do when setting your office hours is to decide when you are going to PARTY. Get your Diva Success System Planner out and mark down EVERY EVENT you can think of – family/ friends birthdays, anniversaries, family reunions, high school reunions, company parties, family vacations, spring break, fall break, holidays… you get the idea. Make sure you ask around and make sure you get everything – talk to your significant other if you have one and make sure you get everything you know is planned. Then go through and choose “play dates” and “date nights” and other “Woohoo” days and mark them off. From the dates left available, take a highlighter and outline the boxes of the days you are willing to do parties. Remember: One party a week is maintaining a business, Two parties a week is building a business!! You now have the Party Dates list, and a calendar ready to take into the Ordering Room. As a New Consultant, you must spend time training yourself in your industry, your product, your presentation, etc. It has also been shown that spending 15 minutes a day reading or listening to motivational material will help with your mood and productivity. As a Leader, it is your job and responsibility to work with your team. In our industry, the better our team does, the better we do. So never neglect your team members or leave them to learn on their own. 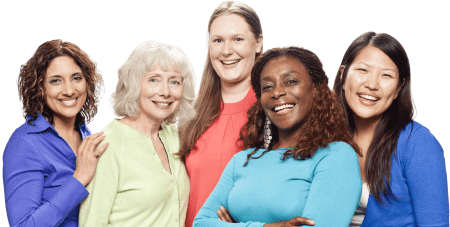 With The Diva Success System, you spend some time every Tuesday with scheduled coaching time (I recommend ScheduleOnce for organizing call schedules), and then a meeting one evening a month. This is the MINIMUM amount of training/coaching you need to be doing with your team. A daily email “check in” or motivation is also recommended. Putting your office hours on your voicemail is a good way to let clients know when you will be in the office and returning phone calls. If you do not have your office hours known, and you will be “off” for the weekend, a client is very likely to get upset after not getting a callback. Hi, you have reached Party Plan Divas.com! We are so sorry we missed your call, but it is very important to us. Please leave your name and phone number with area code, and we will get back to you as soon as possible. Office hours are Monday through Thursday 9am to 5pm Central Standard time. Please note all calls received outside of business hours will be returned on the next business day. Again, thank you for calling, and have a successful day! Include your office hours in your email signature for added exposure. This is another way to let your clients know when to expect a response from you. The use of Auto-Responders is a great tool for when you will be out of the office for the weekend or for holidays, vacations, etc. Adding your office hours to your business cards also shows a level of professionalism in your business, as well as gives your clients the knowledge of when is a good time to reach you. The most important (and sometimes most difficult) thing about setting office hours is disciplining yourself to stick to it. Especially in the beginning, it is possible to get almost “addicted” to working. There are many of us that joke about Party Plan causing OCD and Night Owls, all in fun. The beauty of this business is that we ARE able to set our own hours – so do just that.